The experience completely blew us away, as we scout for questions and forage for clues and answers, the three girls including me learned so much about our environment, how animals have been gone missing, what causes change in climate and how we can all adapt with the change. Playing, digging, running and even reading upside down and finding questions in odd places ate up the whole afternoon of our stay at Mind Museum, we didn't even mind the time. Though, let me tell you, most of the questions are tough, I even phoned "the Dad" and texted a friend for the answer. But all of it was so worth it! We all even got our Apocalypse Badge. Anyhoo, thought I just needed to share the fun and learning, for The Apocalypse Project: Imagined Futures will be coming to a close. 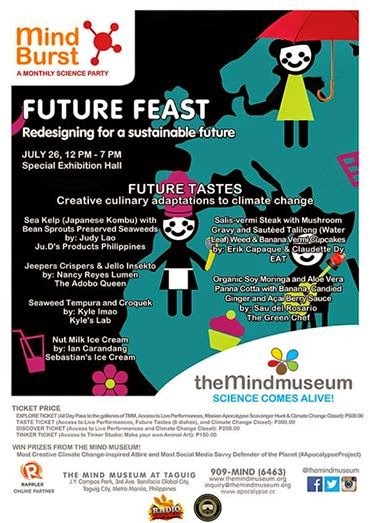 As a culminating event, they have organized Mind Burst: Future Feast. 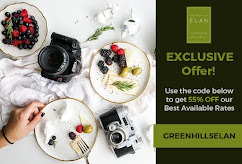 Come on July 26, Saturday from 12 pm to 7 pm for an imaginative feast of food, music and poetry, as human creativity is celebrated with the hopes for a sustainable future. 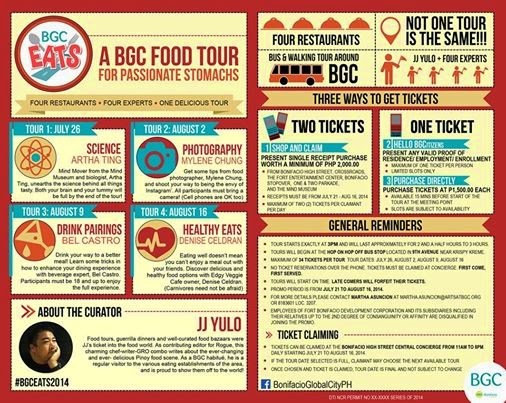 I was just as blessed for being one of the media participants for the BGC Eats 2014, to see a glimpse of what is to happen on July 26. The media were warmly welcomed with a speech about how The Apocalypse project came about with nonetheless than the creator herself - Catherine Sarah Young, and all of us was just as elated to see famous chefs and epicures waiting for us with their creations for us to sample. Though we were ferociously warned as to what we will be trying out. Did I mention you can also have the same one of a kind gastronomic exploit? 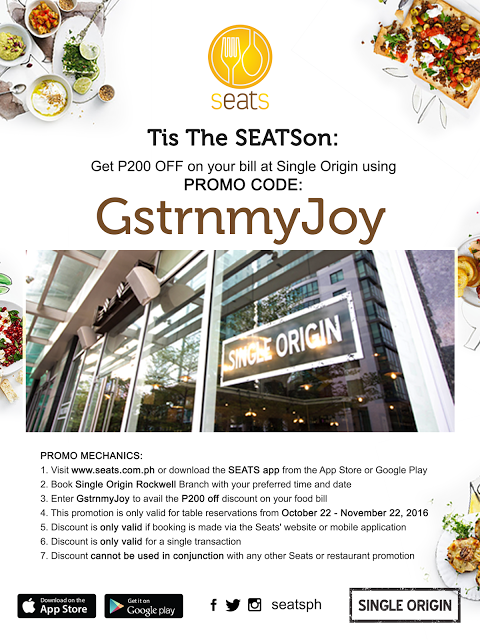 Read on as to how you can score FREE tickets to this. As what had been announced on the BGC Eats 2014 Tour (as we headed to the last destination) rapid climate change will cause one-fourth of Earth’s species could be heading for extinction by 2050. This will also impact our crops and livestock. More extreme temperature and precipitation can prevent crops from growing. Extreme events, especially floods and droughts, can harm crops and reduce yields, as US EPA reports, more extreme temperature and precipitation can prevent crops from growing. Extreme events, especially floods and droughts, can harm crops and reduce yields in wheat and soybeans. Also, US EPA stated that heat waves, which are projected to increase under climate change, could directly threaten livestock. Over time, heat stress can increase vulnerability to disease, reduce fertility, thus reduce milk production or even hamper meat production. The fisheries also does not posses any excuses, as our seas are becoming more polluted and acidic due to increases in atmospheric carbon dioxide (CO2), rendering our shell fish to decline to thrive. Changes in temperature and seasons could affect the timing of reproduction and migration. Many steps within an aquatic animal's life-cycle are controlled by temperature and the changing of the seasons. For example, in the Northwest warmer water temperatures may affect the life-cycle of salmon and increase the likelihood of disease. Combined with other climate impacts, these effects are projected to lead to large declines in salmon populations. For the chefs and epicures who partnered with the the people behind The Apocalypse Project, this became a fun challenge, as they were asked to concoct or whip up something but altering ingredients which they have been accustomed to with something that is sustainable in the future, since these ingredients such as milk, flour, even meats might not exist anymore by 2050. The chefs and their culinary creations as means for adapting to climate change. Chef Ian magically transformed drinking milk in a whole new level. If you like almond milk, you will also like his cashew milk (nut milk). I'm not going to tackle the nitty-gritty of how to make a nut milk (not even almond milk) but what surprised me was how the cashew milk tasted not bad, actually it was creamy with a nutty and woody taste and less sweet. To take it up a notch, he also made ice cream bars out nut milk, to give it a firm body, he used mashed bananas, this also gave more flavor to the ice cream, and boy, I can't stress enough how it came out to be delish and very enjoyable, but it tends to melt before one can finish eating it. 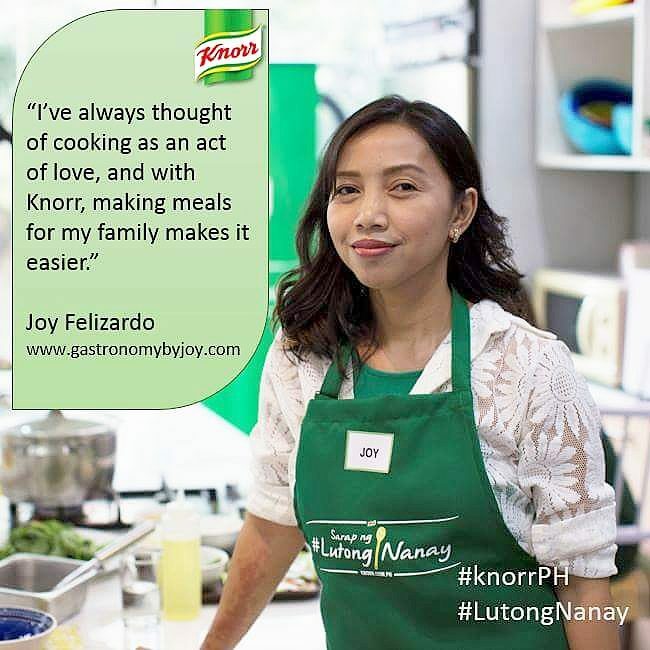 This young cooking prodigy who won the first Junior Masterchef Philippine edition, have probably mistaken their kitchen as a laboratory. Not! Kyle happens to own the food lab at the second floor of the Mind Museum and he's getting better in inventing food that may look odd. On his team's table are Seaweed Tempura and Croqueck...hmm, I'm not going to give away yet what you should be expecting. The dashing chef, Chef Sau showing his avant garde dessert, Organic Soy Moringa and Aloe Vera Panna Cotta with Banana, Candied Ginger and the exquisitely tangy taste of Acai berry sauce. His creation was my favorite amongst all of them. We all know how powerful Moringa is when we speak of health and sustainability. 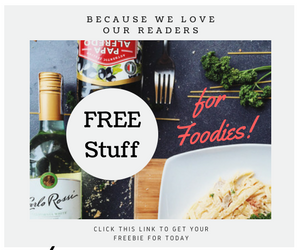 If you say you are adventurous, even in eating, well done, test your palate and other senses as you will discover more unlikely ingredients can actually alter common baking and cooking staples. Claudette Dy introduced me to her Banana Cake, baked in an unorthodox way with an extremely unorthodox ingredient. And yes, I had a big chunk chugged down into my stomach and might I say it was just like an ordinary Banana cake and a scrumptious one at that. Chef Erik on the other hand made "Salis-vermis Steak." Okay. so far I ate every little morsel of their samples, except this one, which till now gives me the creeps. It's a jello with a, ____("secret"). Let me give you a clue of what's in the middle - called "balang" in Tagalog. However, since I truly idolize Ms. Nancy, I gave this munchies a try, in fact my first bite was the "Jeepers Crisper" itself which tasted like a dried squid in Adobo flavor. Here's a macro shot of the crispers. The package is actually a mix of savory rice crispies, nuts and the secret climate change ingredient. I attended this event also and went to this museum the same day. I wish I could have met you there. Yes I enjoyed a lot there. Our young generation especially the kids are very intelligent and sharp. They are also very confidant to ask any question arises in their mind. Hi! Thanks for the great information you havr provided! You have touched crucuial points!